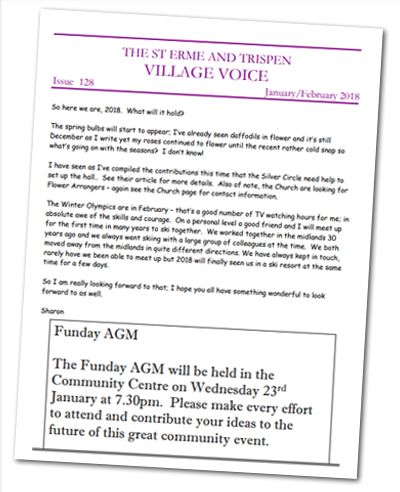 The St Erme and Trispen Village Voice is co-ordinated and managed by members of the St Erme and Trispen Fun Day Committee. It's easy to contribute - simply click here to send your article, photograph, advert, puzzle or opinion. 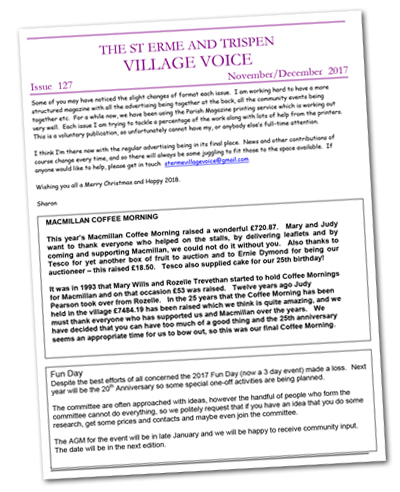 To view the last two copies of the Village Voice simply click on the images below.